FLOW-3D is an accurate and robust free-surface CFD package, the ideal tool for modeling dam and spillway structures. Dam safety professionals and design engineers around the world rely on the efficiency and accuracy of FLOW-3D for quantifying all aspects of dam and spillway design, operation, and maintenance. FLOW-3D makes it easy to generate rating curves and detailed velocity profiles for complex spillways, including the effects of air entrainment and transport. FLOW-3D also enables the quantification of structural stresses (pressure and shear forces) during normal and extreme operations, including transient effects due to gate operation. 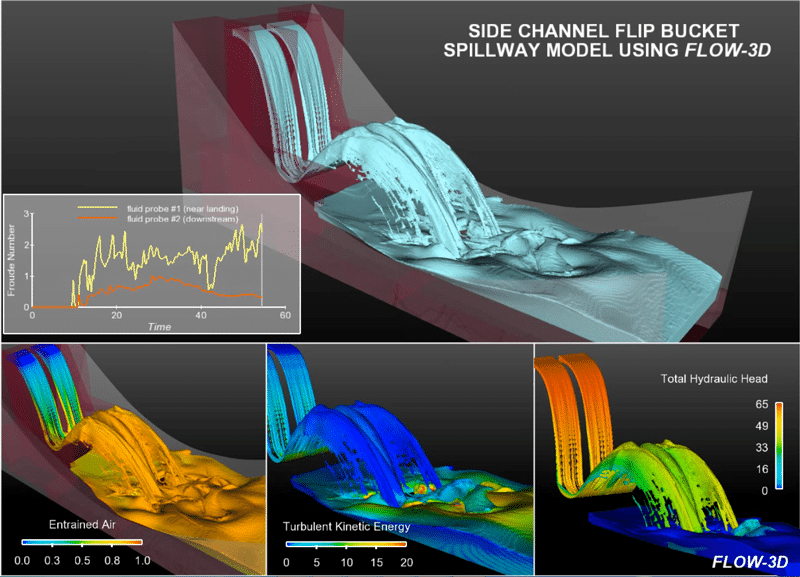 FLOW-3D is widely used to confirm the hydraulic performance of proposed spillway designs and to help professionals meet dam safety requirements. Flip buckets are a common configuration for side channel spillways. 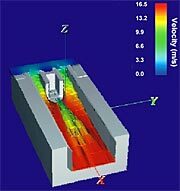 FLOW-3D allows for the fast and accurate determination of critical flow characteristics, including full turbulence and aeration modeling as well as detailed energy dissipation performance. Geometries and flow parameters and readily modified without any re-meshing operations. Modeling spillway over-topping hydraulics for high flood conditions at a labyrinth weir structure. Results post-processed with FlowSight, FLOW-3D‘s state-of-the-art visualization and analysis tool. Studies by Manitoba Hydro indicated that lateral contraction effects in the three-gated sluiceway at its Wuskwatim hydroelectric project in northern Manitoba could be substantially reduced if minor design changes were made. 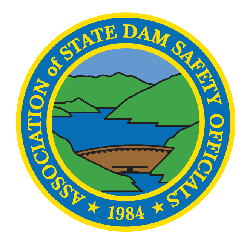 As a result, an approximate 5% increase in spillway capacity at the design head was realized. This allowed designers to raise the spillway invert and reduce overall construction costs.